Pygmy marmosets are the smallest monkeys on earth and can be found in the tropical forests of the upper Amazon River in South America. Very agile, this marmoset lives exclusively in trees and moves using all four limbs, sometimes leaping between trees. 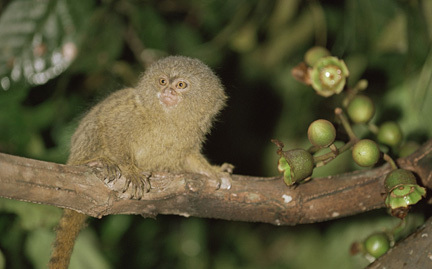 Pygmy marmosets are threatened by habitat loss.